For years Weber has been making world class grills and accessories and has been at the epicenter of fun and festivities for the American family for over 50 years. And at Baskin’s Ace, we have your grilling needs covered! 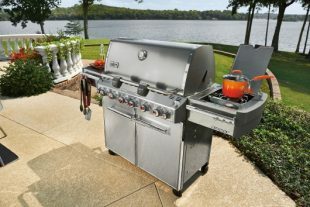 We carry everything from meat smokers to propane grills to portable grills, and even charcoal grills. If you want it – we have it! BBQ Tools – Grate cleaners, Spatulas, etc. There is nothing better than grilling all year long on Cape Cod! 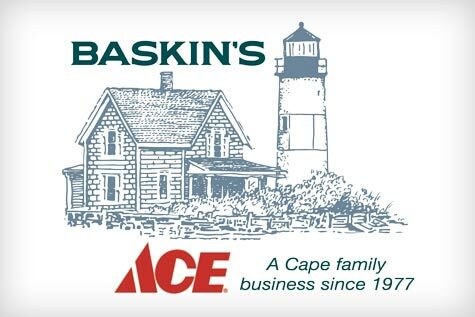 Come visit us at Baskin’s Ace and let us help you get grilling! In 1952, after becoming frustrated with the uneven and uncontrolled flames in his outside grill, Mr. George Stephen, Sr. vowed to build a better and more efficient grill. As part owner of Weber Steel Factory, which manufactured bouys for use in Lake Michigan, he decided to cut one of the bouys in half and fashioned the first Weber Charcoal Kettle Grill. Since then Weber has evolved their product line to include the convenience of the Q Grill, the portability of the Smokey Joe and the luxury of the Summit Outdoor Kitchen.